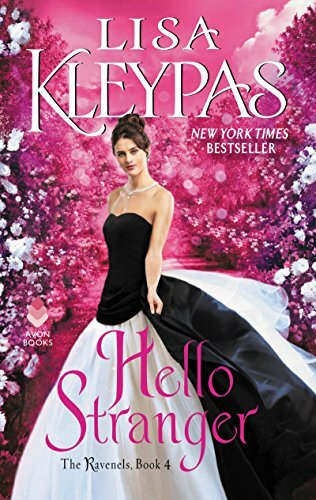 Lisa Kleypas once again delights with her new historical romance—HELLO STRANGER. This next highly anticipated installment in The Ravenels series brims with danger and suspense, longing and romance. It’s everything I hoped it would be and more. Kleypas never disappoints. The story centers on a character we’ve met before—the talented and tenacious Dr. Garrett Gibson, who is in fact inspired by real-life Elizabeth Garrett Anderson, the first woman to qualify in Britain as a physician and surgeon. At twenty-eight years old, Dr. Gibson is happy funneling all her energy into her practice… her work leaves time for little else. She’s responsible and cautious, not one to be known for softness and romance. One night, however, an unexpected encounter with former detective Ethan Ransom leaves her rattled and unsettled in more ways than one. Ransom is all rough edges and secrets. He’s chosen an anonymous life hiding in the shadows, sharpening his espionage skills. His true loyalties are unknown, but by all accounts, he’s a dangerous man from whom Garrett should stay away. But Garrett may be Ethan’s only weakness, and for Garrett, he’s been the only man she’s truly desired, danger and sense be damned. And despite Ethan wanting better (than him) for the beautiful, intelligent doctor, she makes it impossible to stay away. Before too long, Ethan finds himself on a precarious edge and only Garrett can save him. They’re both caught in a web of treachery that threatens their lives. They must help each other, and trust the family Ethan has shunned, if they are to come out of it all alive. Their story is fascinating, engrossing, exciting and sensuous. The suspense really fueled the narrative’s momentum and there was never a dull moment. Scintillating banter, murder plots and espionage, near-death experiences and best of all, late-night rendezvous in the shadowed streets of London… what more can you ask for?! Understanding the grief that awaited her, knowing she must always be aware of it looming in the not-too- distant future, Ethan wanted to reach for her. He wanted to hold her and promise he would be there to help her through it. That fact that he couldn’t struck a note of anger—always the most easily accessible of his emotions—and he felt all his muscles tighten. They both glanced toward the closed surgery door as they heard the creaks and thumps of heavy feet descending the stairs. Multiple voices filled the entranceway. From the sound of it, the men who’d been playing cards with Garrett’s father were departing. “The doctor came in late tonight, sir,” came the maid’s reply. “At this hour?” another man asked, sounding disgruntled. Upon hearing the unfamiliar word, Ethan gave Garrett a questioning glance. “Tibia,” she said, dropping her forehead to his shoulder in a defeated gesture. Ethan smiled and curved a loose arm around her. She smelled like freshly laundered things, with a faint salty coolness beneath. He wanted to follow the fragrance along the tender warmth of her throat and down beneath her bodice. Outside the door, Eliza proceeded to explain the dangerous nature of “tiblin” injuries, which, if not treated properly, could lead to “knee gimps,” “ankular hitchments,” and even “limputations.” Garrett fidgeted in annoyance at the maid’s authoritative lecture. “She’s giving us cover,” Ethan whispered, amused. He heard her muffled chuckle. She continued to lean against him while the trio of constables expressed sympathy for the unfortunate patient. Eventually the men departed with a chorus of hearty farewells. Ethan discovered that his other arm had stolen around Garrett. Making himself let go of her was like trying to uncoil a steel spring. A frown crimped her forehead. She closed her grip on his vest until her fists were tight as pine knots. “I’m not afraid of you, or your trouble.” Her green eyes were narrowed and intent as she tugged him closer. “Kiss me,” she urged in a whisper. The threat startled a ragged laugh from him. He shook his head as he looked at her, this fearsomely capable woman who loved geese and was afraid of spaghetti, and could either wield a scalpel in a complex surgical procedure or use it as a throwing-knife. There had always been a cold streak in him, but he couldn’t seem to find it now, when he needed it most. He was breaking apart inside. He would never be the same after this. I’ve read only one Lisa Kleypas but I should read more. I do enjoy a historical romance book.